While meditation is a great way to feel better and lighter, there are just some days that you are unable to find time and place for it. Or, you need to lift your emotions at that exact instant. Instead of fretting about failing to manage your emotions when you most need to, there are some ways which you can use to instantly improve your feelings. In addition to being grateful for the things that you have, show your appreciation for these things. Voice out what you appreciate in your partner, your home or your workplace. Say it out loud. Say what you appreciate to somebody, or even to your own self. Giving sound to the things you appreciate has a lot more power than just thinking about them. As you cultivate your appreciation for the things around you, your focus starts to shift from lack to abundance. The more you show your appreciation, the more you feel good inside. When you concentrate on the warm feeling within, you will feel whole and connected. You will feel connected to everything around you as you come to appreciate the presence of all those things. Take a deep breath and think it’s all the negativity around you. Hold it for 3 seconds. Exhale it fully as you think you are exhaling all the negativity that was within and without you. Take another deep breath and think it’s all the positivity around you. Hold it for 3 seconds. Exhale all the negativity that’s left within you. Take another deep breath full of positivity. Hold it for 3 seconds. Exhale fully as you realize that there is no more negativity within you. This technique helps you face the negativity that you feel within and without you and let go of it while filling yourself up with positivity. 3. Come to the present moment. When things are pressing hard and you seem unable to pull through with your positivity shield, it’s time to loosen up and let go. You are not in control of everything. Take the focus off your mind and feel your whole body. The only real control you have is in the present moment. So come there. Open your eyes more widely, look around you, touch your surroundings. Feel the temperature on your body, smell the room you are in, listen to all the sounds you’ve been ignoring. Come with your consciousness to the present moment, as much as you can, and let go of your thoughts and the need to control. Notice how relieving it feels once you do. 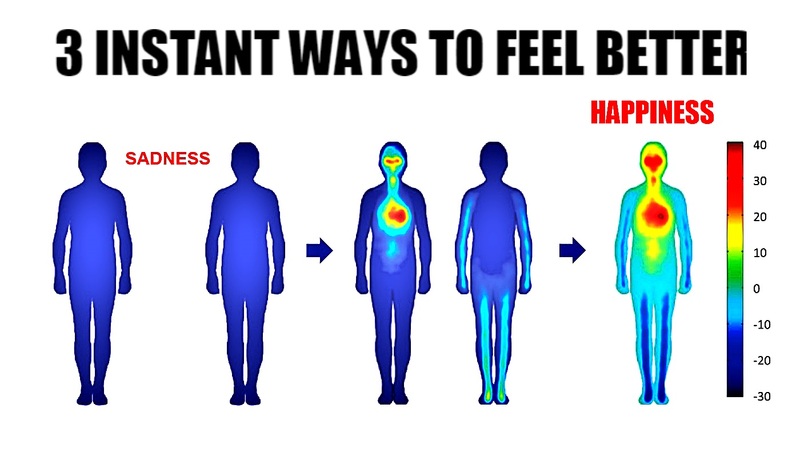 Your feelings instantly improve!